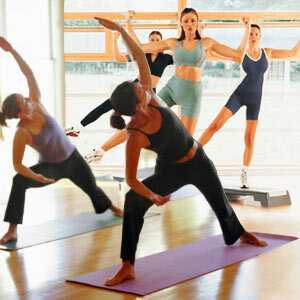 Adhering to a regular exercise regime improves fitness level and also makes you feel good. Aerobic exercises, strength exercises, flexibility exercises, these three-exercise programs would usually form part of an all-round fitness maintenance schedule. In recent times, Interval training is fast gaining popularity amongst fitness enthusiasts - especially with people who struggle to find considerable amount of time to devote to exercise. Hitherto, recommended by exercise experts to professional athletes, interval training has now gained wider acceptance even among novice exercisers. What is Interval training? Is interval training beneficial for all? Does it really help in losing weight and toning leg muscles? Read further to find answers to these questions. Before incorporating interval training as an integral part of your fitness routine, examine the pros and cons. A high-intensity exercise (just after 18 minutes the body can burn more fat than carbohydrates). In direct contrast to low intensity, long duration exercise, interval training is a high intensity workout followed by allotted intervals of less speed/less intensified workout. Interval training can be used in many type of physical activity regardless of the environment, irrespective of whether you are at home or at the gym. As such, there is no 'perfect, specific interval'. The ratio of work to rest interval varies from person to person. Only a systematic and regular interval-training workout with a bit of changes here and there, will suggest an acceptable norm. You can then develop your own interval training program. In order to determine the intensity level, you need to closely monitor your heart rate, how strenuous or comfortable you feel. Once, you understand the optimum exertion level, it's easier to determine the lower intensity and the higher intensity level. It is always recommended to discuss with your health care provider to determine the comfortable and safe intensity level you can manage. While engaging in a high intensity work, energy demands on the respiratory system, cardiovascular system and nervous system increase. As a result, more fat and glycogen are burned in order to support or enable the expanding energy demands of the body, both during and after intense exercise. The slow workout and faster workouts that is part of interval training offers great advantages for improving cardiovascular health and burning more calories. Other health benefits include weight loss and lowered risk for diabetes. This kind of a workout with steep peaks and valleys can immensely benefit asthma sufferers. Even otherwise, interval training is suitable for almost everyone who enjoys stable, good health. Once or twice a week workout should be sufficient. In a matter of weeks, the results are evident. As a matter of precaution, those who are above 40 years of age or those who have a record of chronic health conditions should consult a health care provider before embarking on a new fitness regimen. After due consultations, you can control the variables of intensity, speed as well as duration. People with low fitness levels can follow a moderate interval alternated with low intensity exercises. With regard to people with heart disease or high blood pressure, or those with joint problems such as arthritis or anyone older than 60, it is advisable to consult a doctor before starting interval training. A high potential for injury.